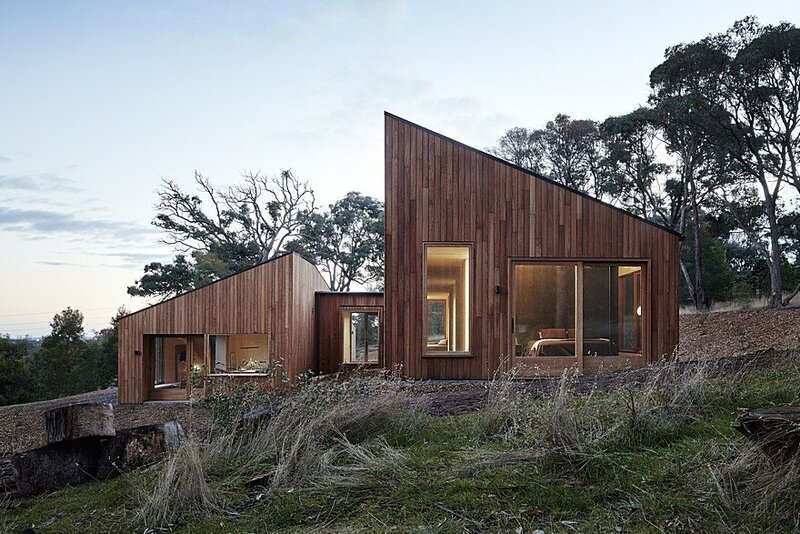 The Two Halves House on Silverwattle Drive is divided in to two pavilions of exactly the same size. 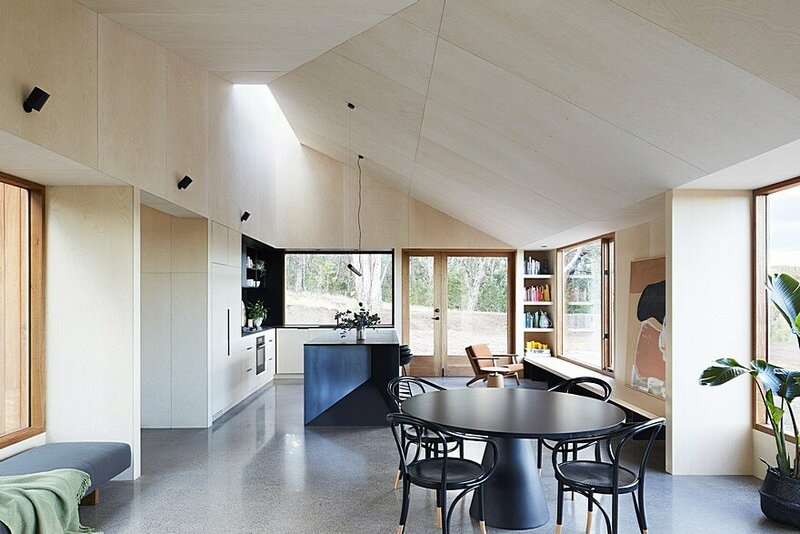 The upper level pavilion houses the sleeping areas, whilst the lower level is the kitchen, meals, living spaces and garage. 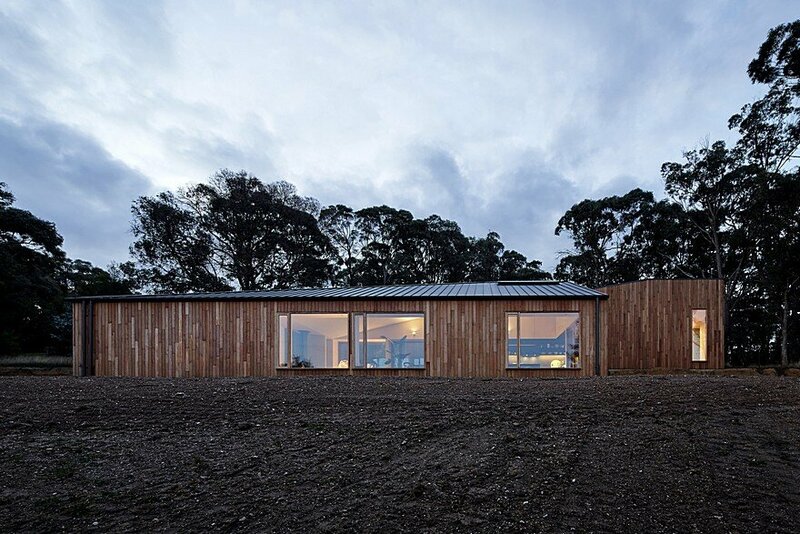 The two forms are offset and separated far enough so that they don’t overshadow. 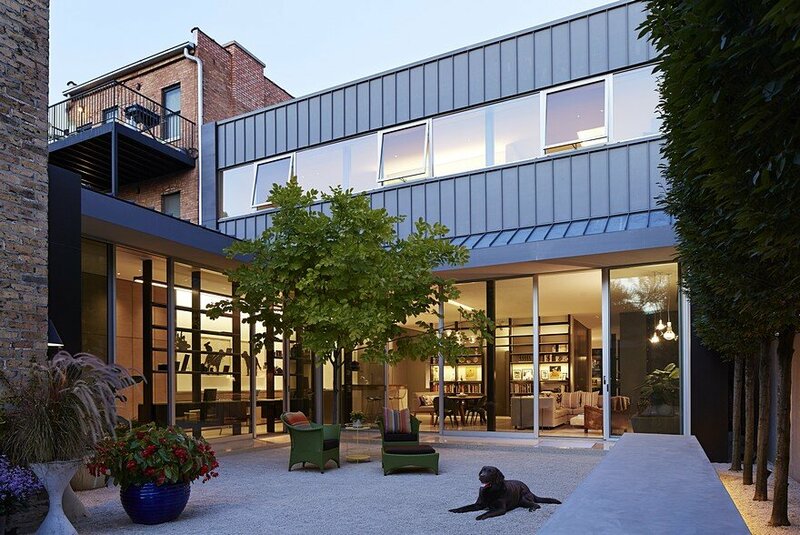 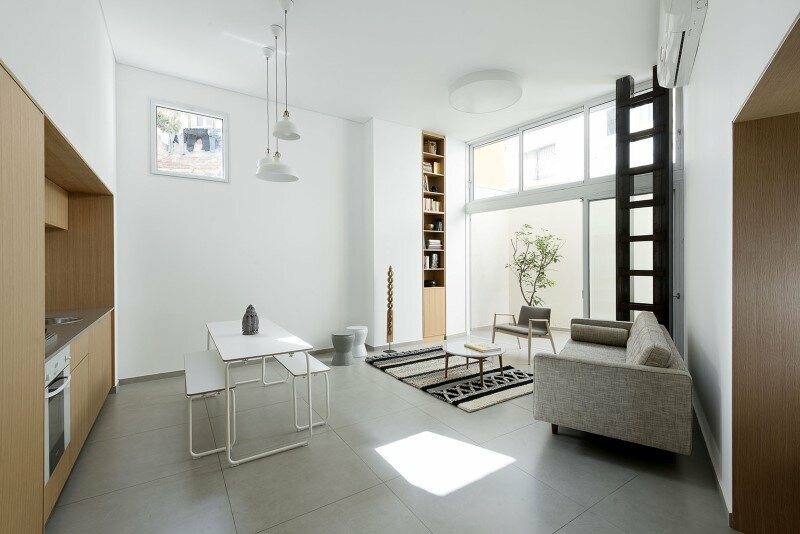 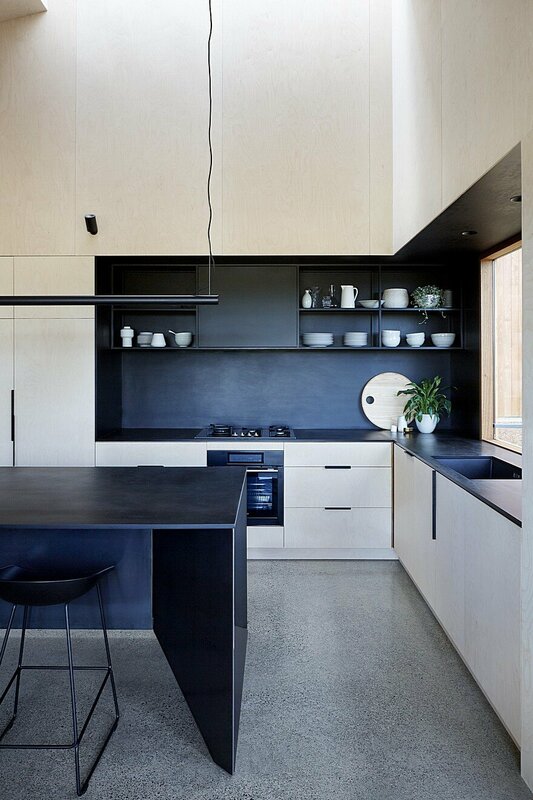 The material palette is minimal and raw from the outside, but warm and refined on the inside. 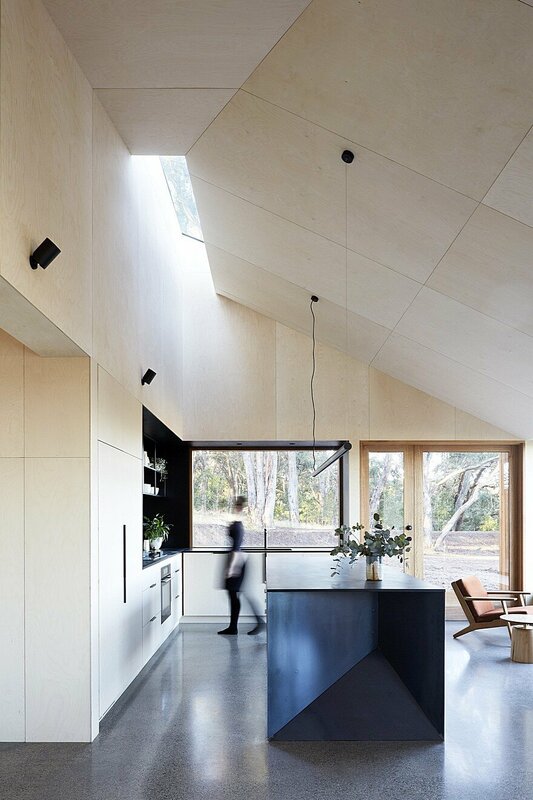 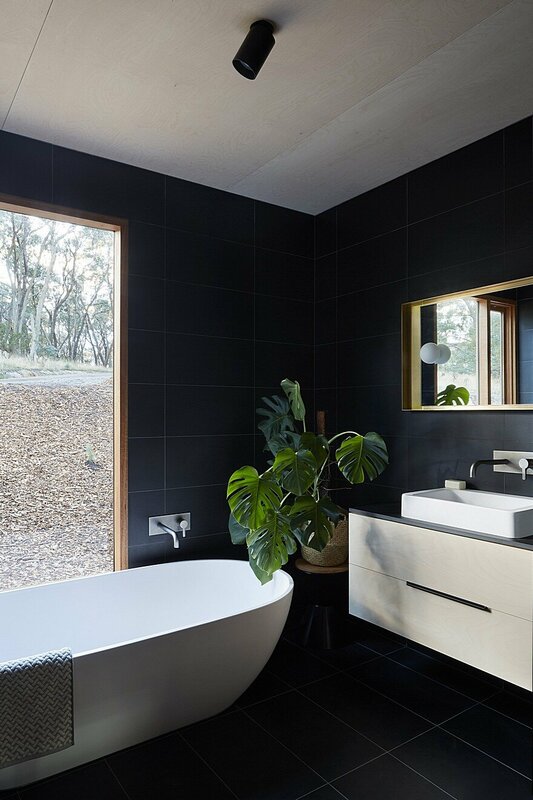 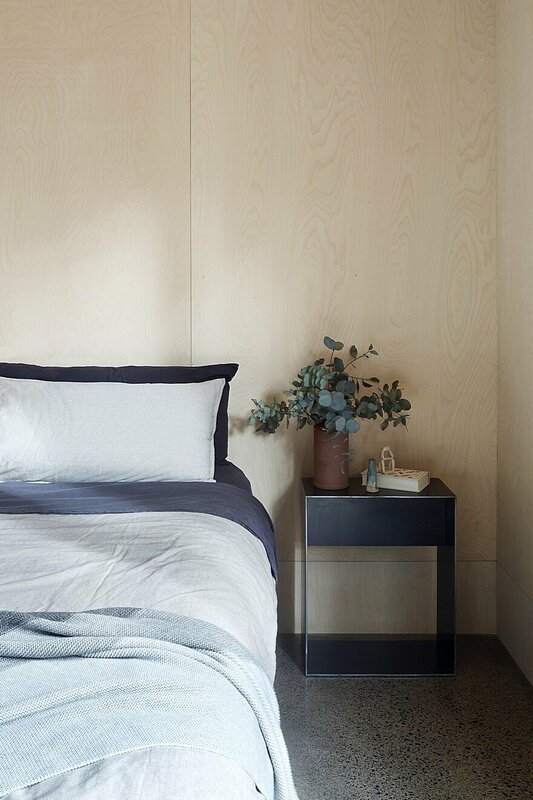 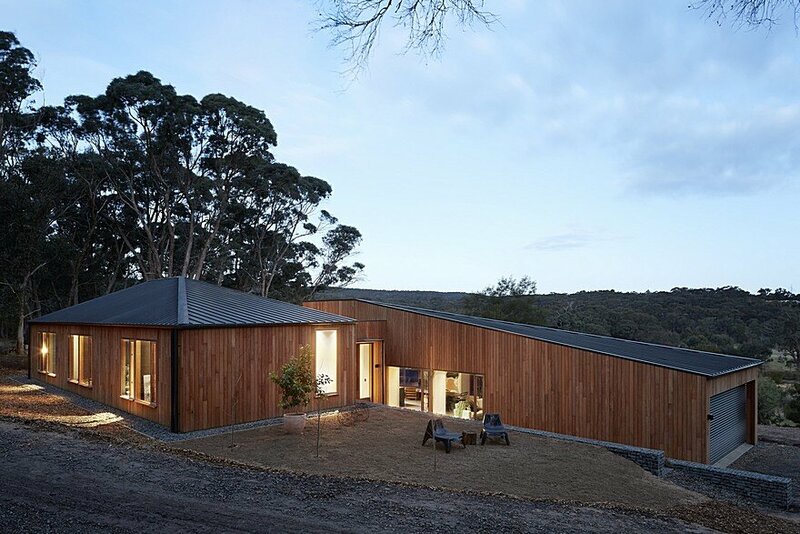 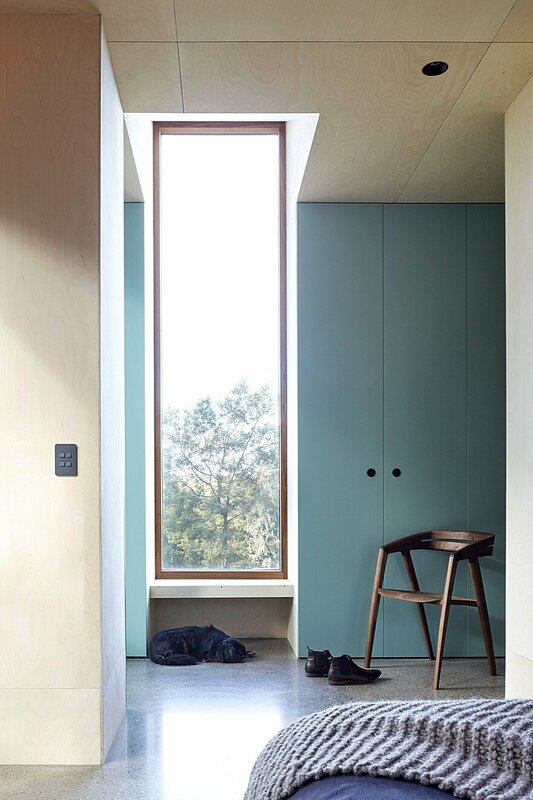 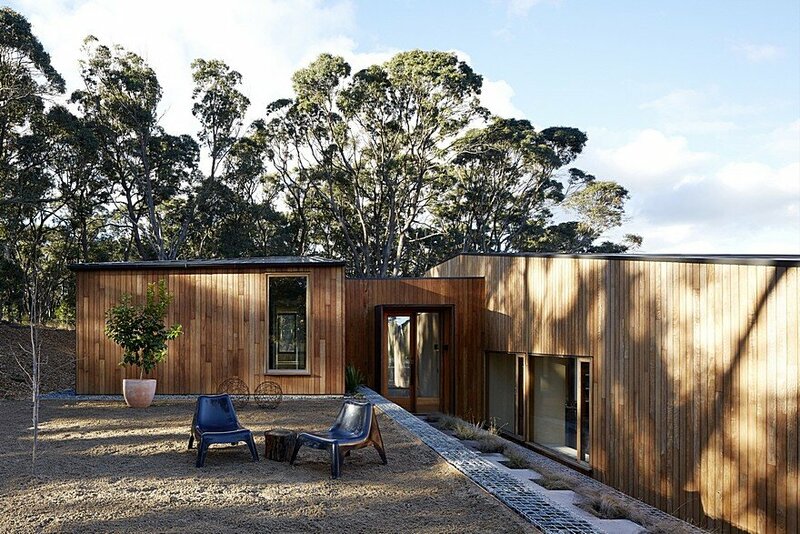 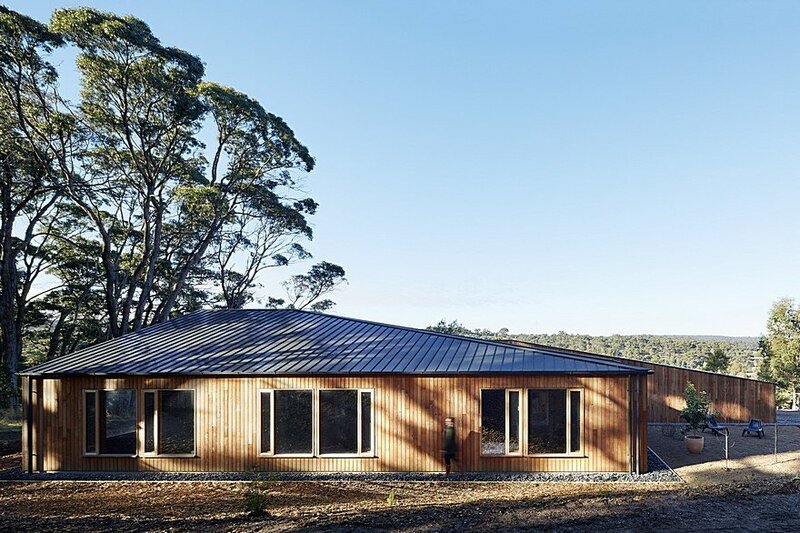 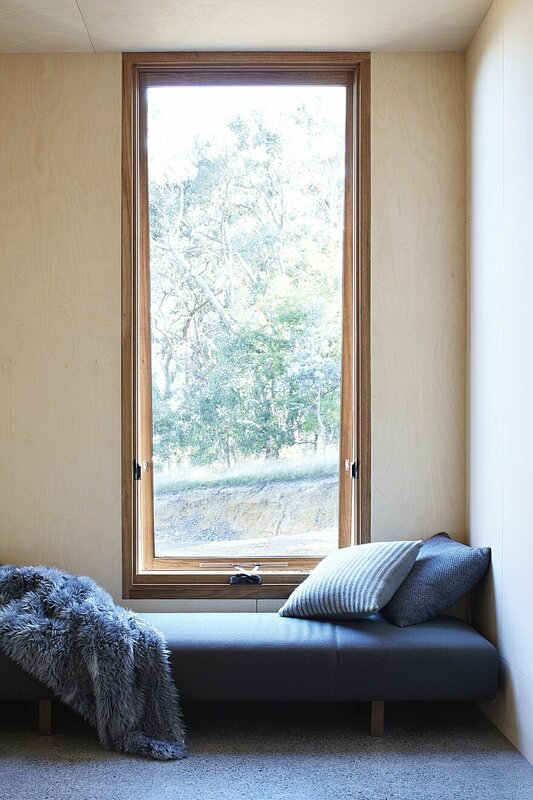 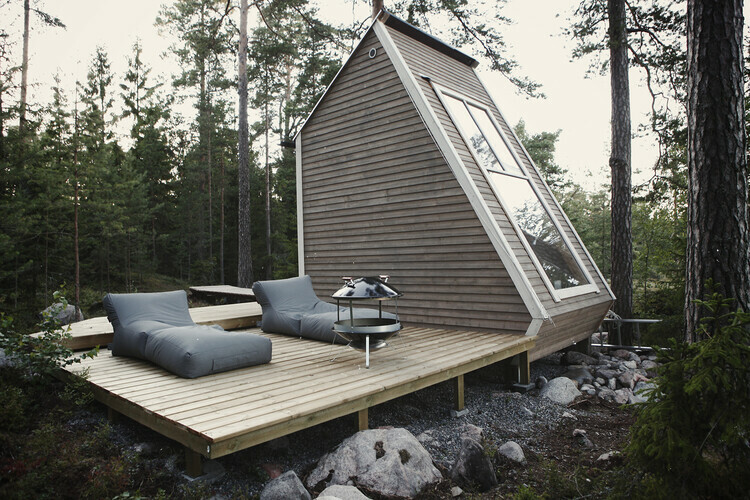 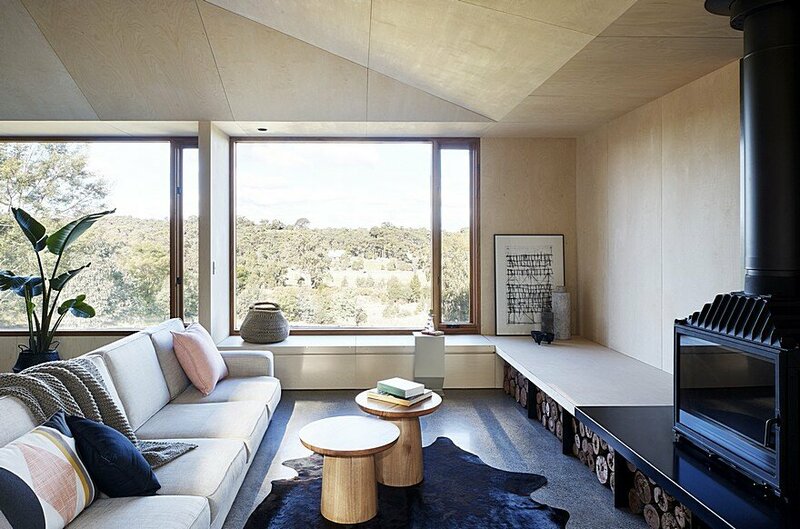 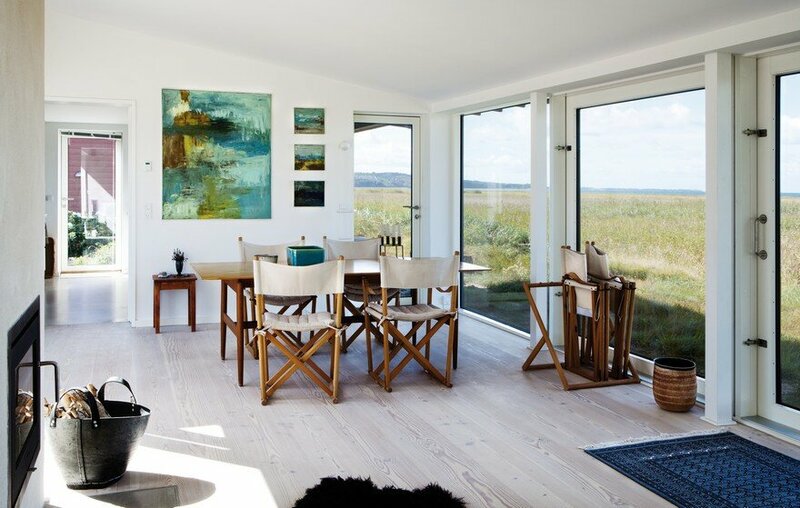 Naturally fire-resistant Blackbutt is used for the exterior cladding and windows, and light-toned birch ply is used to line the interior walls and ceilings. 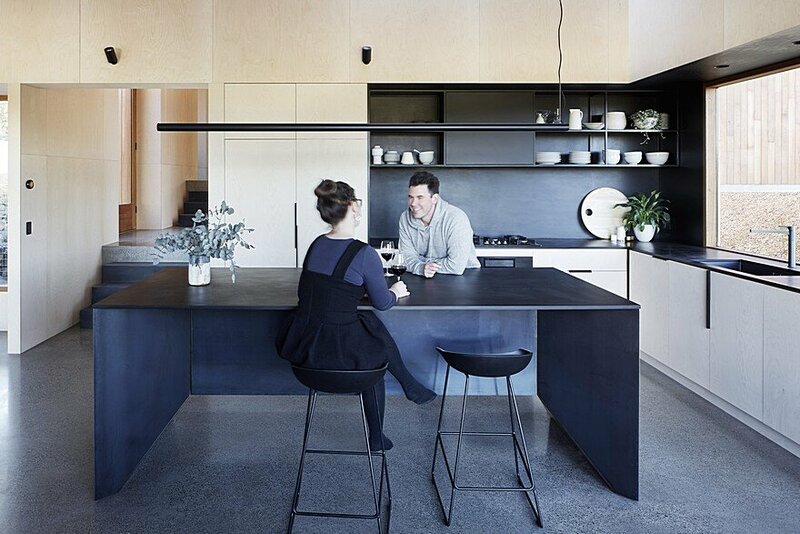 A custom-designed steel and Paperock island bench reflects the angles of the split form, including a raked ceiling and skylight that encourages you to look up as well as out.